One. NYX Soft Matte Lip Cream in Copenhagen - While visiting my parents earlier this month, I went to my local Ulta to try and find this colour after spotting it on Pinterest. Sadly (and predictably) they were all out! Now I'm left pinning for it and hoping the next time I visit an Ulta or a NYX counter that it will be in stock! It's a lovely and vampy plum shade with a matte finish. Two. Bite Beauty Best Bite Remix - I got this last year for a friend during one of our "Secret Santa's" and I wish I'd bought it for myself as well! I love bite beauty and this very reasonably priced foursome-in-a-box comes with a variety of beautiful mini shades. 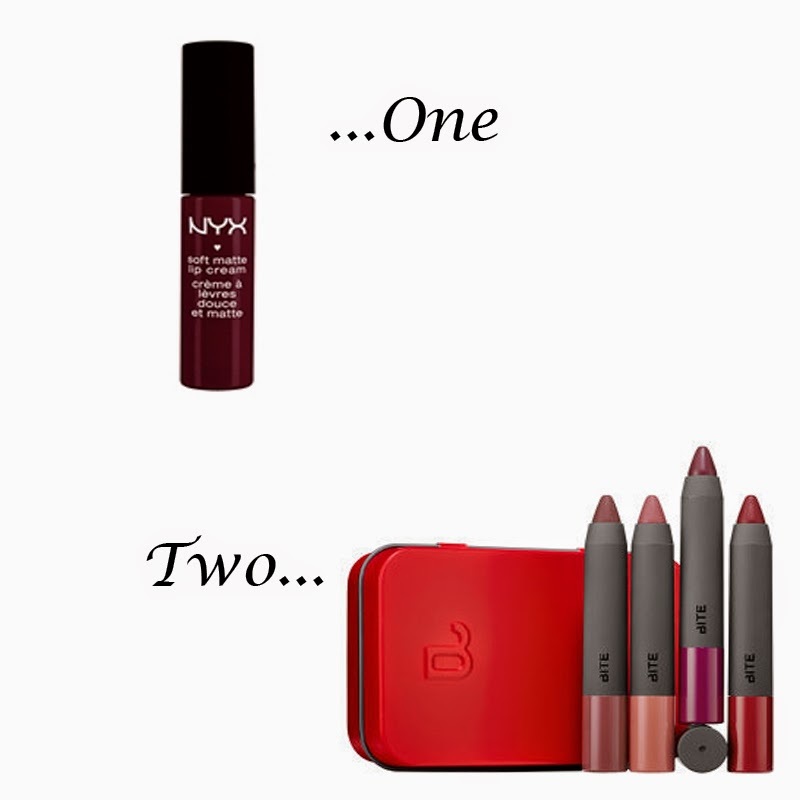 Plus the lipstick crayons are super convenient as they're both a lipstick and a lipliner in one! What have you been craving this week? Right?? I feel like everyone is on the boat with us...since it's out of stock!